We are delighted with the opportunity to have you as our guest, and you can expect the sense of "Feel Welcome" in our hotel. Our hotel is a perfect place for business and leisure traveller. Strategically located in the commercial zone of Summarecon Serpong in Tangerang, Hotel ibis Gading Serpong is nearby the largest convention hall in South-East Asia, ICE BSD and Summarecon Mall Serpong as one-stop entertainment and shopping complex. 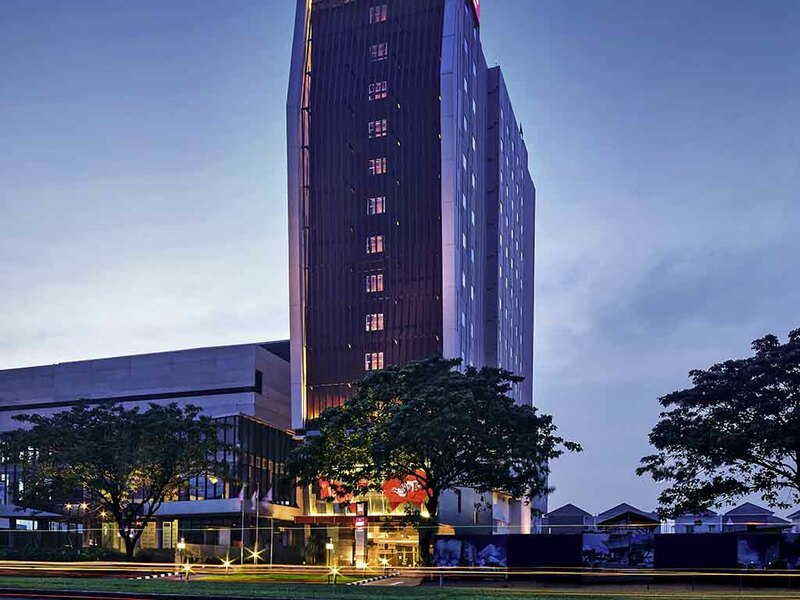 With direct access to Soekarno-Hatta International Airport and surrounded by well-known universities and sport centre, Hotel ibis Gading Serpong is a perfect accommodation for business and leisure. With direct access to Soekarno-Hatta International Airport and surrounded by well-known universities and sport centre, Hotel ibis Gading Serpong is a perfect choice for business and leisure travellers. The "It's all about TASTE" restaurant reinvents tapas. Try out new flavours by simply creating your meal amongst 20 typical local dishes. Enjoy your own flavour combination! So far so good. And comfortable. Staff really nice and kind. I got a room in high floor, stayed there for 1 night. Room was spacious and clean, bed was comfortable. I had a nice stay. Your service and hotel are amazing. I checked out of Atria in Jakarta, Indonesia at 2:00 AM for very bad service. I was luck to see your hotel so close so took a taxi to see if there were any rooms available. There were so I checked in for the week. It was a decision I shall never regret. The service and hotel were amazing. It will be my new home every time I am in Jakarta on Business (or pleasure). I was just a walk-in not knowing if there was even any room availability. I was so lucky. Location is great. Service is fast. Staff is friendly. Simple accommodation with good breakfast and location.